With two convenient cruise terminals located on Harborside Drive at the Port of Galveston, you’ll find accommodating services and ample parking for a pleasant beginning for all your round trip journeys. Guaranteed parking spaces for those departing on cruises and discounted rates get your cruise off to a great start. You will also enjoy free shuttle bus transportation from the port parking lot to the cruise terminals. Taxis are available for hire as well for your convenience. If you are flying into the area, airport to port transfers are available from your cruise line. Be sure to contact your cruise line to arrange for this service. 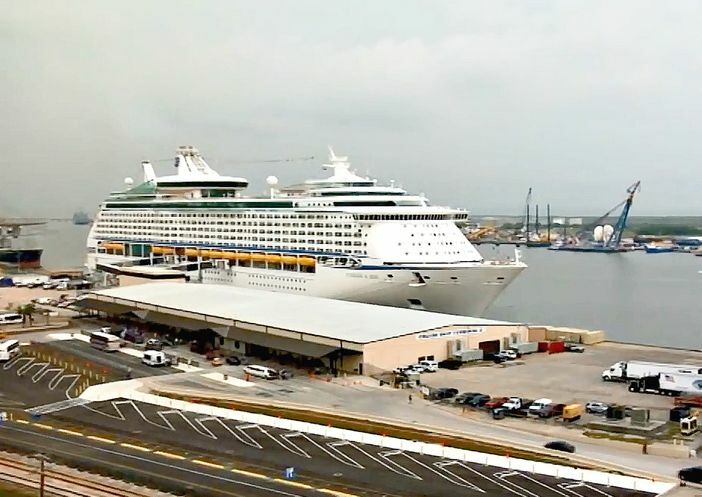 Destinations from the Galveston cruise ship port include the Western Caribbean and the Bahamas. There are several ports of call visited including Belize, Roatan, Cozumel, Jamaica, and Nassau. When you choose a cruise vacation, departing from Galveston provides you with an experienced terminal that’s geared towards efficient departures and returns for cruise passengers. The Port is conveniently located close to Houston Intercontinental Airport and Houston Hobby airport. Enjoy everything that a luxurious adventure at sea can add to your vacation when you choose one of the 4 or 5 night Western Caribbean cruises. Explore this great cruising option and get started on booking your cruise adventure today.